"The way to change incestuous and destructive politics is to change incestuous and destructive politicians. " 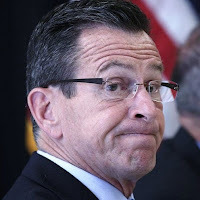 Way late, lame duck Governor Dannel Malloy has discovered that the distribution of state funds to educational districts in Connecticut is "a hot mess.” In the Republican non- partisan budget that passed both Houses of the General Assembly recently, the method by which the state ferries education tax money to municipalities has not been changed. That method of tax redistribution is wholly a product of the Democratic Party, which has maintained control of the General Assembly – the law making body in the state – for half a century. Malloy cut state education funding to zero in 85 municipalities, presumably “rich” municipalities, and moved those funds to presumably “poor” municipalities. By way of comparison, UConn state funding was cut only 18 percent. In Connecticut, the poor municipalities include Connecticut’s three large cities, long-time Democratic bastions, such as Hartford, now on the brink of declaring bankruptcy, Bridgeport and New Haven. State education funding permits the party in power in the General Assembly to favor their own voting blocks. Now, it so happens that Hartford, under the unreformed system, was given more money by the state in education funding than, say, New Canaan, swimming in wealth. So it is not strictly true that the apportioning of state education funding favored all rich towns at the expense of all poor towns – which would be the case if educational funding were supported entirely through property taxes. Were that the case, Hartford would have declared bankruptcy decades ago. The state of Connecticut off-sets, through compensating tax grants, revenue lost by the state’s larger cities, because some properties are tax exempt, which is one reason why per pupil expenditure is greater in Hartford, a poor community, than New Canaan, a rich community. If one considers the distribution of educational tax dollars, the present system, fashioned by a Democrat dominated General Assembly, is not unconstitutionally inequitable. If one considers the educational product, however, Connecticut’s public school educational system is dramatically inequitable: test scores of students graduating from New Canaan High School are much higher than the test scores of students graduating from Hartford’s public school system. New Haven, of course, boasts that its Amistad Academy, which draws from the same pool of students as New Haven’s public schools, scores higher than New Canaan and graduates from colleges a slightly higher number of students than New Canaan. Successful charter schools in Connecticut are under financed by 17 percent, a financing gap written into the statutes that created the state’s charter school system. Successful charter schools such as the Amistad Academy are living rebukes to failing public school systems in Connecticut’s larger cities. Underfinanced, they produce a superior educational product and challenge the notion that students in inner-city public schools cannot succeed because their social situations are disruptive – which, of course is true. Many studies show a causal connection between the successes in school of African American boys in particular and the presence of working fathers in households. Many other studies show that success in public school is not determined principally by pupil expenditures. Catholic parochial schools in cities spend far less per pupil than public schools, and the success rate in parochial schools is far more impressive. St. Augustine, Hartford's last Catholic school, closed several months ago, and Achievement First, which runs several successful charter schools in Connecticut’s inner cities, including Amistad Academy, will be opening no more new charter schools in the state because the state shorted successful charter schools by 17 percent. Connecticut’s problems are largely political; the worst kind of party politics snakes through nearly all Democratic policy prescriptions. Democrats do not want to surrender their voting advantage among state union workers or among party activists in the state’s larger cities. That is why a bailout for Hartford rather than bankruptcy proceedings, which would clear the decks for more broadly . . .
To read the rest of Don's commentary, visit his blog, "Connecticut Commentary: Red Notes from a Blue State".